(Phoenix – April 18, 2012) – Vestis Group is pleased to announce that Principals Natan Jacobs and Les Litwin have completed the sale of 39-units (bulk condos) of North Point Condominium, located at 6315 N. 16th Street in Phoenix, Arizona, for $1,009,000 / $25,872 per unit. 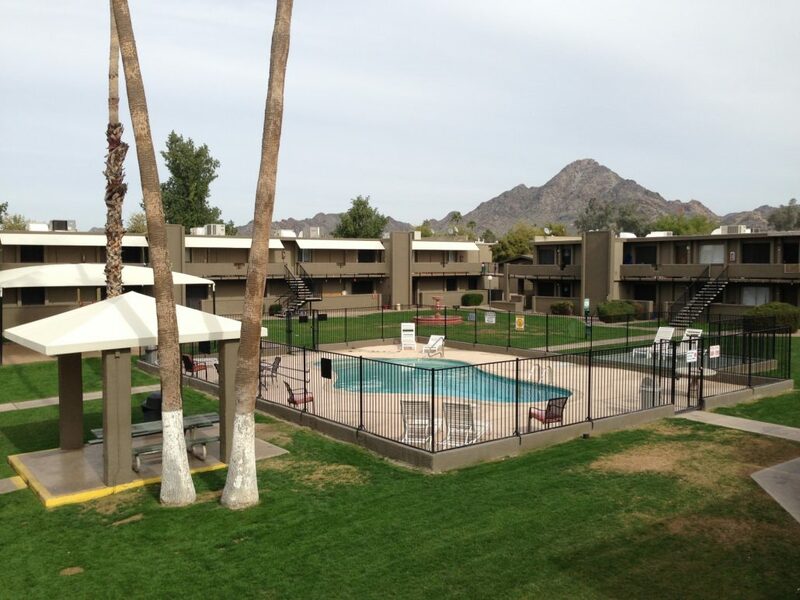 The buyer, AZ Opp Condo, LLLP of Scottsdale, Arizona, purchased 39 of 86 units within the community. The seller consisted of 18 separate REO lender-owners who had previously taken title through foreclosure. Natan Jacobs and Les Litwin with Vestis Group represented the buyer in the sale. North Point, an 86-unit, garden-style condominium community located in east central Phoenix, was built in 1968. North Point has a pitched, composition roof, block and frame construction, 6 two-story and 6 single-story buildings and is individually metered for utilities. Common area amenities include a swimming pool and spa, covered parking, playground, laundry facilities, vaulted ceilings, private balcony/patios, and stand alone rental office. North Point enjoys a superior East Central Phoenix location within the sought after Madison School District near hiking trails, shopping and restaurants. This property has great access to the valley freeway system, the Arizona Biltmore, Camelback Corridor and downtown Phoenix. The property enjoys major street exposure, as it is located on north 16th Street, a major North/South thoroughfare.